Repowering a mower—swapping the equipment’s original engine with a replacement one—may be fading in popularity among large landscape companies. 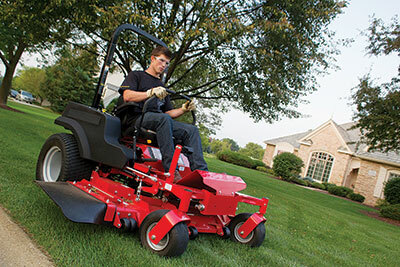 Still, some small and mid-size contractors are finding substantial savings from breathing new life into mowers. Wayne Rassel, director of distributor service support at Briggs & Stratton, has watched the engine replacement market change over the past 20 years. It has diminished, as now nearly a third of landscape companies lease their equipment, Rassel estimates. In addition to lease programs, Rassel says, many companies have moved to structured equipment replacement programs, where they work with their dealers to decide a replacement date upon purchase, so they’re always running new equipment. Mark Hopkins, located near Dallas, is the regional vice president for Frederick, Md.-based LandCare—a full-service company bringing in around $200 million a year from mostly commercial maintenance work. 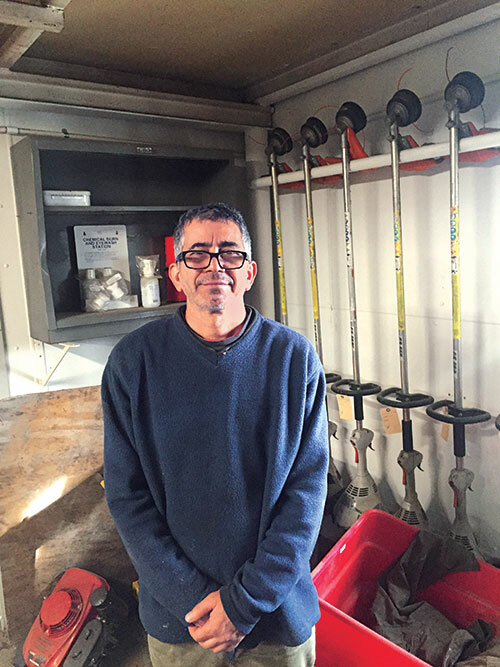 Eight years ago, he implemented a 24-month rotation for the company’s larger mowers, 36 inches and above. “We’ve found it to be more effective overall, not just from the cost standpoint or the upkeep standpoint but also from the standpoint of productivity and the reduction of lost field time,” Hopkins says. He says it’s tough to put a number on the savings, but he believes this structure is most cost effective for his business, which doesn’t have on-staff mechanics. With mowers always less than two years old, they rarely need more than preventive maintenance, and Hopkins rarely has to worry about downtime. Any issues that arise are either covered by warranty or caused by operator error—which is a training issue, not a fleet management issue. More than peace of mind, though, always having new equipment bolsters customer satisfaction, employee satisfaction and employee productivity, Hopkins says. That being said, it’s a good time for companies who want to repower equipment to do so—especially considering the potential for flexibility and savings. Due to mower manufacturer demand, most engine makers now share a “plug and play” mentality, says Rassel. This approach makes it easier than ever to replace engines. Standardization and flexibility for the end-user are now industry standards. A1 Lawn & Landscape in Anchorage, Alaska, is a $2 million, full-service company that’s making the most out of its equipment. It keeps a full-time staff of three mechanics year-round. During the winter, the mechanics are tasked with getting each mower in the fleet as close to 100 percent as possible. When Ted Pendagast, A1’s maintenance manager, was debating whether to repower or replace 10 Honda HRC216 commercial hydrostatic walk-behind mowers, he consulted his on-staff small engine specialist, Naser Warmilee. Warmilee said he could repower them for half the price. It was less than that. Honda HRC216s retail at $1,200 or approximately $12,000 to replace all of them. Warmilee had all 10 Hondas up and running for $3,500 in parts plus labor—an $8,500 savings. As the mowers get larger, so do the savings. Plus, today’s contractor can personalize a repower solution tailored to his or her operation, Rassel says. A commercial ZTR can cost upwards of $6,000 dollars—sometimes more. Rassel says a common situation in which a replacement engine customer finds himself or herself is an engine malfunction in the early stages of a mower’s life span. This scenario is often the result of improper maintenance and may not be covered by warranty. If you haven’t put many hours on the machine, that investment might be too large to scrap. In this case, a more affordable move would be replacing the original engine. At $1,700, a Briggs & Stratton electronic-fuel-injection (EFI) engine costs about $400 more than a standard engine. However, a contractor who runs a mower with an EFI engine for more than 500 hours per season could save about $500 a year, depending on gas prices, Rassel says. Just by repowering instead of replacing the mower, the contractor is saving more than $4,000 on just one machine, and if the EFI engine does what it’s supposed to, the savings can be even greater. That type of option didn’t exist just a few years ago. On the other hand, a standard carburetor engine can help breathe new life into a mower that’s on its last leg. A contractor who’s put 2,500 hours on a mower in three years may need a new engine, but the deck and other components may be in decent shape. The contractor knows the mower won’t last another 2,500 hours, even with a new engine. That may not be enough time to reap the benefits of an EFI engine, but he or she can use a standard carburetor engine to stretch the mower’s life span another 1,000 hours, or two more seasons. Plus, a new engine comes with a new warranty, Rassel says. That’s just the tip of the personalization iceberg. Options include upgraded cyclonic air filters, solenoid starters or a low oil shut-down feature, just to name a few. It’s all part of the engine manufacturers’ efforts towards personalization in the end-user experience. Like Hopkins says about his equipment rotation program, Pendagast has found having a full-time staff of mechanics has its own intangible benefits. For one, it allows him to remove one of the many hats he was wearing by letting the mechanics focus on the equipment. He’s always confident he’ll go into the spring with a full high-preforming fleet. Plus, his mechanics can maintain and fix any piece of equipment A1 has a problem with. The flexibility that comes with that perk lets Pendagast keep his eye out for used equipment. Sometimes used equipment just needs to fall into the right hands to get up and running again. Like many things in the green industry, there isn’t a silver bullet. It’s all about personalizing the decision to fit your operation and finances. Even Hopkins acknowledges what works for his firm would not work for every operation.